Saujana Greens is a sleek, single tower condominium development situated in Saujana Puchong, Selangor. 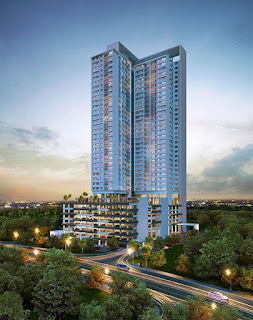 The condominium tower neighbours Ayer Itam Forest, a lavish 1,200-hectare rainforest reserve. Saujana Greens soaring 37-storey high, this low density private residential condominium boast 268 units, all of which benefit from a contemporary design concept and green elements for today's modern suburban living. The novel experience offered by Saujana Greens is exemplified by a selection of residential units that offer an expensive skyline view of the 108-year old forest reserve, a truly stunning illustration of nature at your doorstep. Situated at the pinnacle of Puchong, Saujana Greens benefits from being located in the semi-secluded, tranquil residential sanctuary, away from the hustle and bustle of Puchong town centre, yet profits from being well-linked to major thoroughfares and highways. Essentially, Saujana Greens provides the best of both worlds, with little compromise.